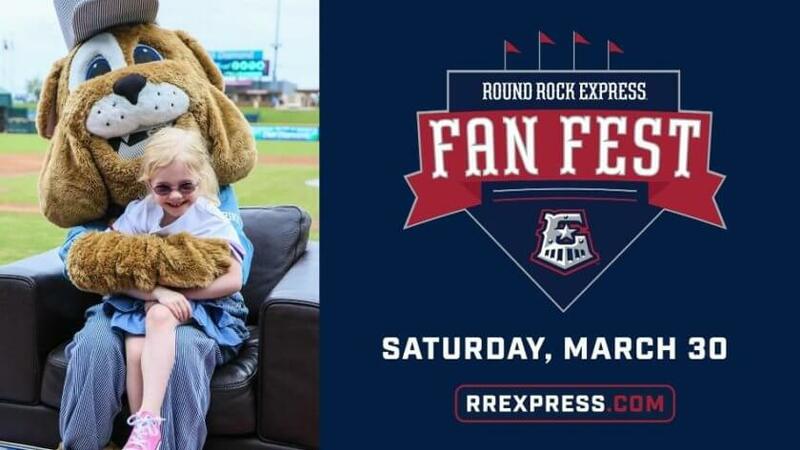 Round Rock is known as the “Sports Capital of Texas“, and at the center of this growing reputation is the Round Rock Express. 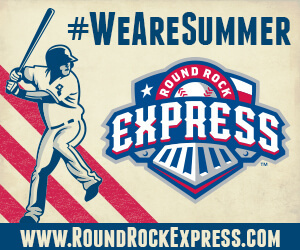 The Round Rock Express is the Triple-A Pacific Coast League Affiliate of the Texas Rangers. The team is named after baseball legend Nolan Ryan who is also one of the team owners. The players in the Express are some of the best in baseball. Not only has the Express won championship games, their players are routinely called up to play in the major league with the Texas Rangers. Here in Round Rock, we have a unique opportunity to see the players up close as they perfect their game. The pageantry of the games and the facilities at the Dell Diamond are a great amount fun for all members of the family. For about the same price as a movie ticket, you get a much closer look at the baseball players than you ever can at a major league game. There’s a wide variety of delicious food and beverages available. The Fun Zone offers bouncing, rock wall climbing, basketball hoops, and a playground for the kids. There are often special events, promotions, and even convention expos that create special opportunities. At least 30 minutes (or more) before the official starting time. You’ll need time to park, find your seats, get a snack, browse the team store, and listen to the National Anthem. There are often special give-aways on a first-come basis. Consider attending one of the Fireworks games, they’re usually more exciting! They’re every Friday game plus special holidays like the Fourth of July. There’s a Special Fireworks Plan for tickets to every fireworks game. It lets you choose your seats in advance without buying the whole season. There are a number of great promotions to get more bang for your buck. Click on the star on each home game on the Express calendar to discover the deal for that game. Common promotions include Dollar Drinks, Dollar Hotdogs, free backpacks and baseball caps, and a lot more. Save some money with the Family Plan and the Flex Plan. The Family Plan is a discounted group ticket option for large families or groups of friends. The Flex Plan allows you to buy tickets in bulk and use them any day you like for maximum flexibility. If you have children, there’s no better value than the Express Kids Club. The Kids Club includes either a cap or shirt, tickets to games, and a discount at the team store! Birthday parties are also a lot of fun. You can invite all your child’s friends to a pizza party with Spike, the Express mascot. They can all run out on the field and be recognized during the 2nd inning. It’s an unforgettable experience for the kids and you won’t have to worry about cleaning your house afterwards. There are also corporate events and group outings.